X2 Large pink baby shower balloons bouquets wih confetti, latex and teddy bear balloons. 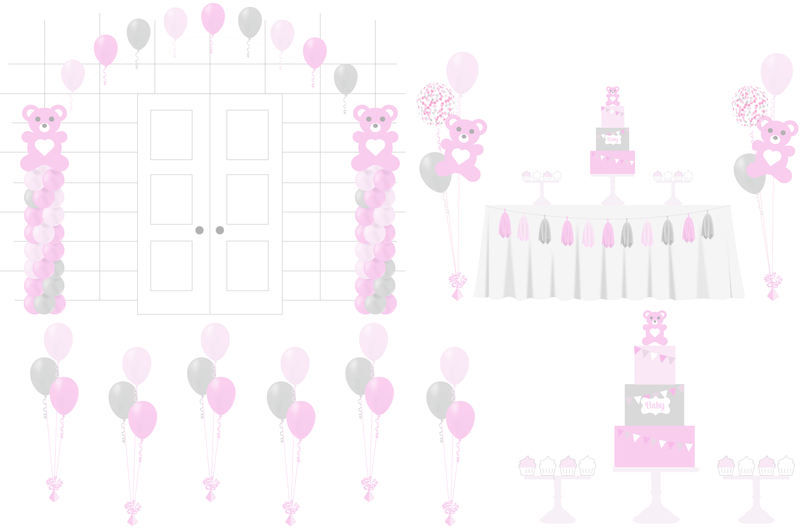 For additional pink baby shower balloons see our balloon chart for more information. To personalise your event further spell out any message, name or age with our XL 3ft foil letter/number balloons for just £8.50 per balloon.See our balloon chart for more information.